Our Lower Prep is a fun, engaging and exciting place to be. As Charlie Chaplin once said, “a day without laughter is a day wasted”, a quote that sits perfectly within the spirit of St. Ed’s. We appreciate the importance for our younger children to enjoy their learning which in turn helps with their overall confidence and achievements. Making the most of the extensive school site and facilities, children in Form 1 and 2 are encouraged to embrace every opportunity presented to them with enthusiasm and energy whilst at the same time being shown the importance of self-esteem and discipline. 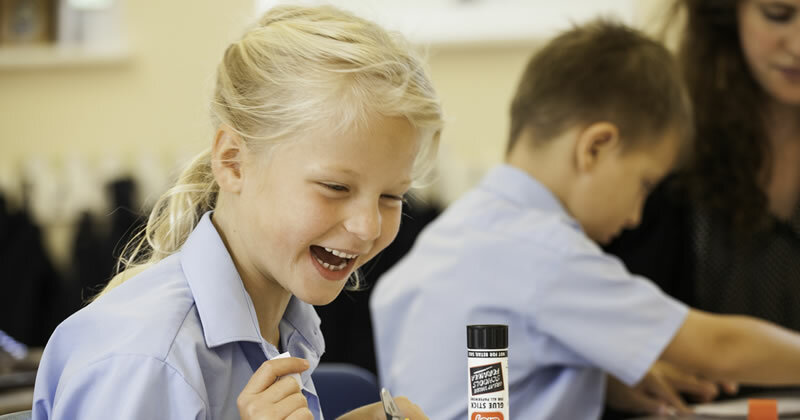 In common with the Prep and Senior school, the curriculum is both broad and challenging, allowing the children the chance to benefit from specialist teaching from a young age. A whole host of co-curricular activities are encouraged with Judo, Ballet, Golf, Running Club, Tennis, Swimming Club and Instrumental Music lessons and Drama classes available, not forgetting of course the regular outings organised to HMS Victory and the Look Out Centre amongst others. In addition, we appreciate our parents’ have busy lives, so we therefore offer additional free after school activities in music, sport and art and crafts every day of the week.